BOURBON – Strong start, formidable finish. 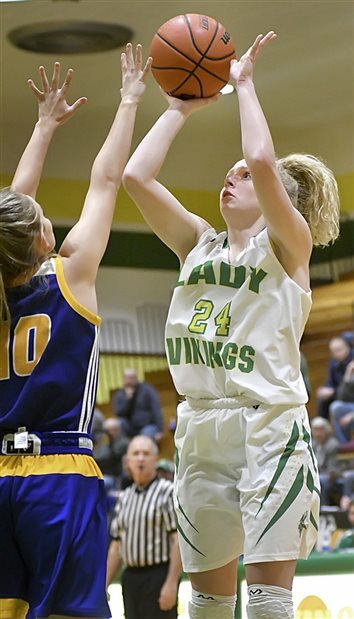 BOURBON – Triton is emphasizing offense heading into Class 1A Sectional 51. 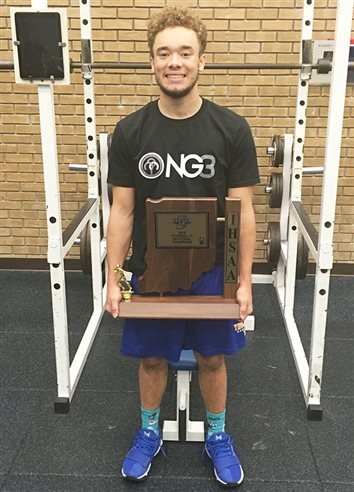 INDIANAPOLIS – Warsaw junior Grant Knight will cap his season today by swimming for a state championship in the 100-meter breaststroke. BOURBON – Beau Hepler for the win. 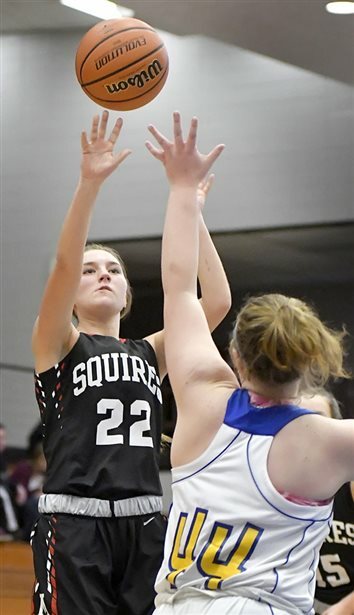 BOURBON – After a regular season with more than its fair share of adversity, Triton’s Lady Trojan basketball team enters the Class 1A Oregon-Davis Sectional with another tough assignment. BOURBON – The Triton High School Athletic Department is recommending Rodney Younis to the Triton Board of Trustees as the new varsity football coach, replacing Ron Brown. 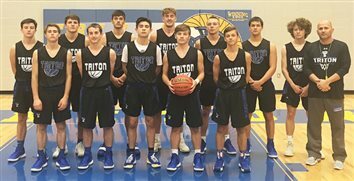 BOURBON – The Triton High School Athletic Department has announced the next class to be inducted into the Triton Athletic Hall of Fame. The class of 2019 will be the ninth class inducted. BOURBON – Ron Brown resigned from his position as the Triton football coach. Depth was the decider Wednesday. 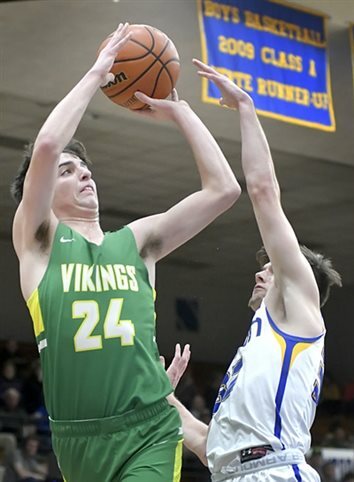 BOURBON – Last season found the Triton boys basketball team in unfamiliar territory. BOURBON – Why not him? 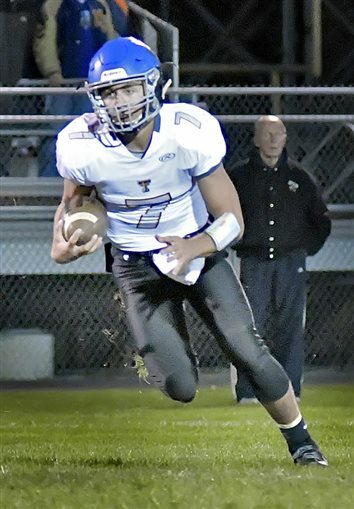 BOURBON – The Triton football team reached the end of the line Friday. BOURBON – From the porch lights to the Friday night lights, Triton football has been a family affair. 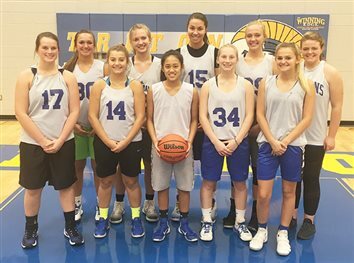 BOURBON – This season marks five years since the Triton girls basketball team won a sectional game, but Lady Trojans coach Adam Heckaman isn’t deterred. NORTH JUDSON – Behold the greatest Triton High School football team in program history. 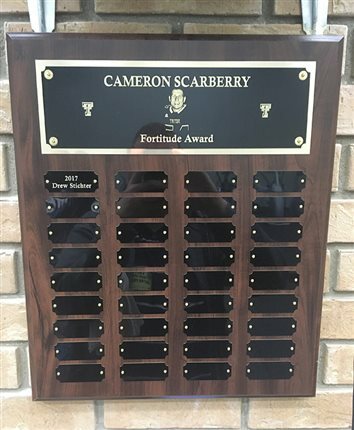 BOURBON – In life, Cameron Scarberry was always there for his teammates. Years from now, when he’s old and gray, Triton’s Delano Shumpert will be able to tell his grandkids he played football against Jack Kiser. 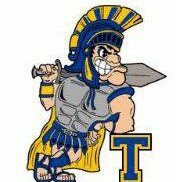 BOURBON – The Triton Trojans faced a Kiser on a roll Friday night. 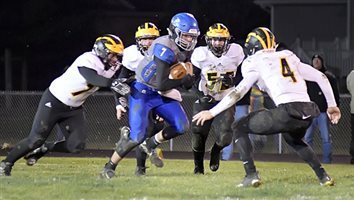 The Triton football team failed to get much offense going in a 19-0 loss to LaVille in a Hoosier North Athletic Conference game at Triton High School. 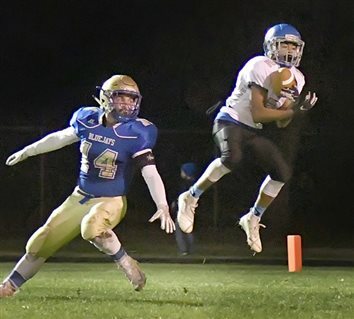 BOURBON – If luck happens when preparation meets opportunity, Triton football coach Ron Brown wants to be as prepared as possible for opportune moments. 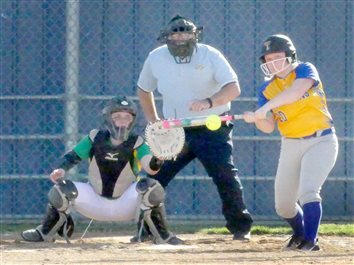 BOURBON – It’s the end of an era for the Triton High School softball program. 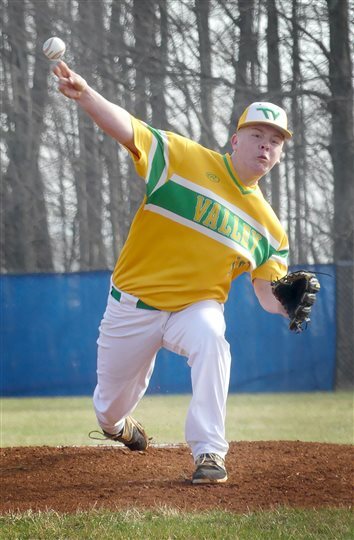 BOURBON – Senior River West pitched a complete game and was in dominant form in Whitko’s 19-2 win over Triton on Tuesday. 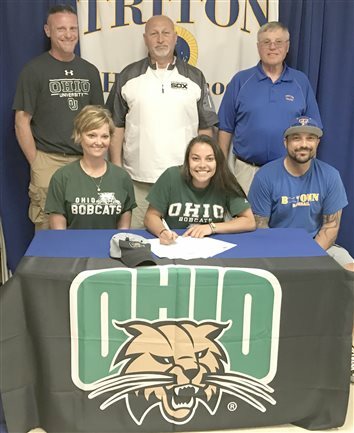 BOURBON – Triton’s Taytum Hargrave signed her letter of intent to continue her academic and softball careers at the University of Ohio. 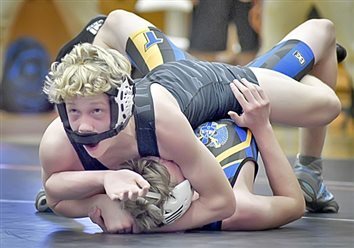 NorthWood’s Caleb Lung won the battle, but the Warsaw Tigers won the war. 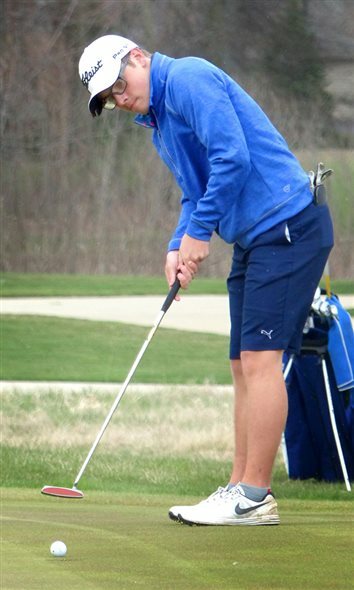 If Monday evening's high school boys golf match at Stonehenge were a game of Clue, the winning answer would be the butler did it. As in Triton High School's Chase Butler. 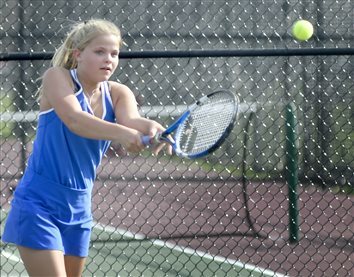 AKRON – On Wednesday night, the Triton girls tennis team won 4-1 over Tippecanoe Valley. 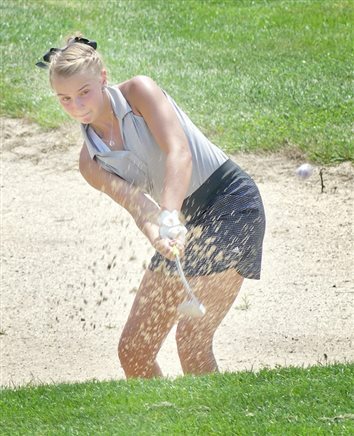 In what was the season opener for each team, the Lady Trojans saw victories from their No. 1 and No. 2 singles players and both doubles en route to the victory. 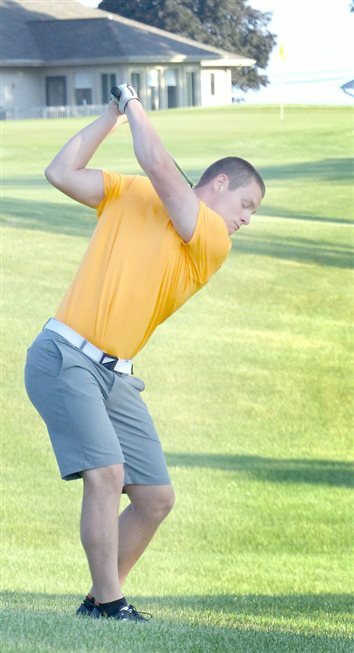 SOUTH BEND – Former Warsaw football coach Phil Jensen will be honored at the 45th Annual Moose Krause Memorial Scholar-Athlete dinner on April 25 as the Contributions to Football recipient.